Bikini & Under Arm Laser Hair Removal Buy 3 Get 1 For Free ! Welcome to Royal Tulip Med Spa, home of excellent massage and spa therapy services in Etobicoke. Besides having a registered business specializing in, massage therapy services, we also have a wide variety of hair and skin care treatments such as facials, scrubs, and laser hair removal services. We know you deserve to be pampered. That’s why you should give your body only the BEST and registered services when it comes to massage therapy, laser hair removal, and other facial and skin care treatments in Etobicoke. Our skin care treatments are done using natural ingredients, while our laser hair removal, hair waxing, and other facial and body treatments are done by trained and registered therapists to ensure excellent delivery of services every time. Please feel free to browse our site to get more details about our registered massage therapy, laser hair removal, and spa treatments in Etobicoke. We accept reservations in Etobicoke and other nearby locations for all our hair and skin care treatments and guarantee that our spa and therapy sessions such as laser hair removal are all done professionally and confidentially by registered therapists and skin care experts in Etobicoke. Here at Royal Tulip, you get honest pricing for all our quality services. NO sales gimmicks and NO hidden costs. We combine affordability and luxury at no compromise! Please check out our services rates or CALL US TODAY to inquire about our special spa packages. At Royal Tulip Med Spa, you get the best service ever. Our excellent communication coupled with our commitment to make you happy enables us to provide the best and quality massage and skin care services in Etobicoke. We treat you like you are the only client we have and give you the best service you deserve. We will set up in a program that will let you know exactly when you need to be serviced again. We give you all the services you need in order to have a wonderful and relaxing day at the spa. We are a one-stop massage and skin care clinic where Etobicoke residents can get a complete menu of skin care, manicure, pedicure, acupuncture, massages, laser hair removal, waxing, photo rejuvenation, body scrubs, and other cosmetic treatments and professional cosmetics products all in one roof. Our clinic in Etobicoke is a registered business and all our therapists are also highly trained in hair and skin care treatments. Getting the services of registered spas and massage therapists in Etobicoke can assure relaxing and healing treatments whether they are simple acupuncture, skin treatments, laser hair removal, or full body massage therapy. Our registered therapists make sure that all tools and equipment used for laser hair removal, facials, and massages are properly cleaned for the next client. 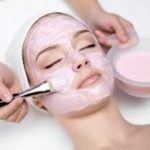 Our extensive training and education of products, skills and techniques gives you superior and professional massage therapy and skin care treatments in Etobicoke. You will be very happy to find that we are big on communications. You will always get a chance to discuss that YOU want prior to any service. When you become one of our clients, you get a chance to know our most guarded expert secrets. That is exactly what we mean when we tell you “The Best Service Ever, Or It’s Free!” We will do everything to make you happy and satisfied, or you don’t pay!! We are confident to provide you the best service in Etobicoke. We also stand behind our products that is why we offer a ‘money back guarantee’ if we fail to fulfill our promise to providing you the best massage and skin care services in Etobicoke.